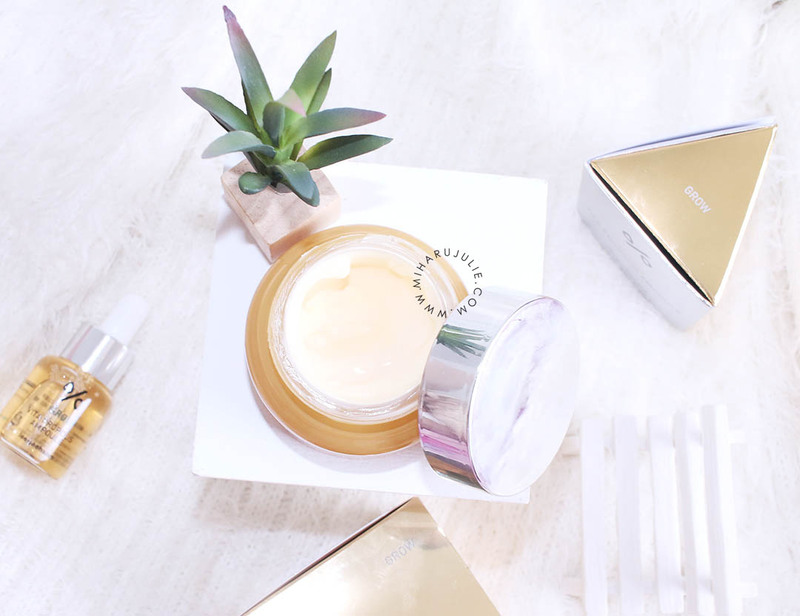 Today I will review 2 products from LJH or Lee Jiham, which is a korean brand that combines skincare with pure medicine. 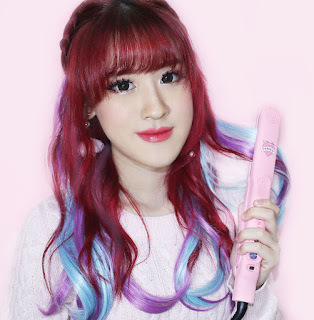 Lee Ji Ham cosmetics, a range of cosmetics developed by the first-ever dermatologist Lee Ji Ham in Korea. Among his many achievements, Dr. Lee was known and highly appreciated for treating sensitive, troubled and uneven skin tones, hence the birth of this super cream. 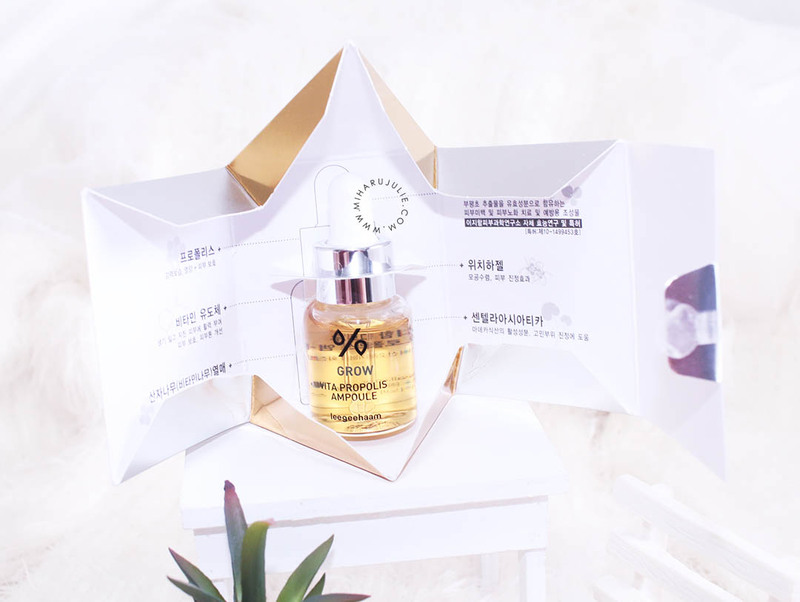 Korean serum LJH Lee Jiham Vita propolis ampoule contains an entire of 50% propolis and 20% Multi-vitamins. 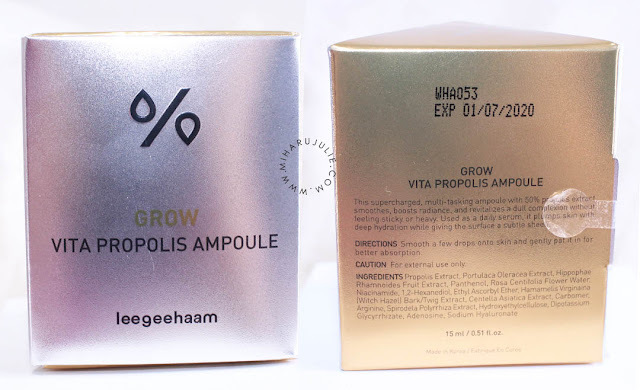 This serum/ampoule is deeply hydrating and moisturizing. Perfect for giving an instant "gwang" (dewy glow in Korean) to skin. It also revitalizes skin, helping to even tone, smooth texture and improve dullness. For all skin types. Suitable for acne prone skin. If you haven't heard of Propolis, Propolis is a resinous mixture that honey bees produce by mixing saliva and beeswax. Propolis is good for healing,sealing and skin soothing properties. Not only it is nourishing for the skin but it also helps people with acne prone skin to repair and clear up blemishes and acne scars. 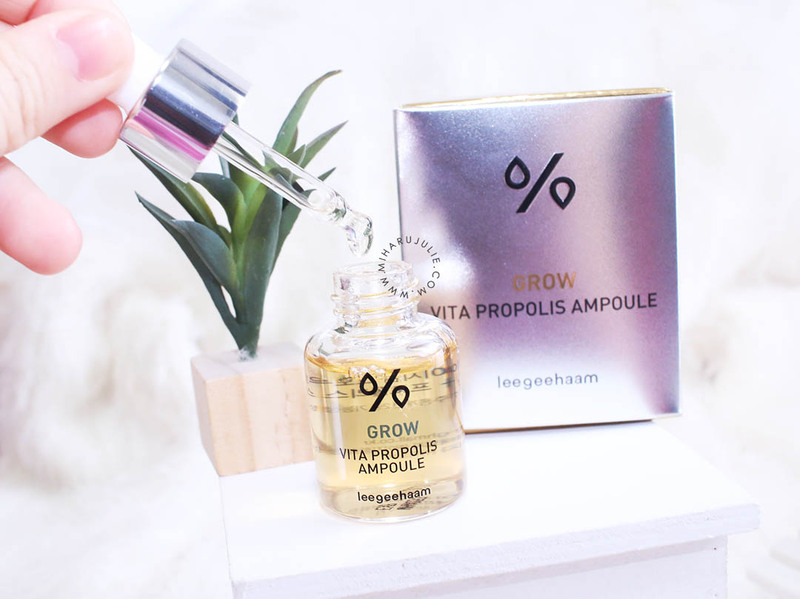 LJH Lee Jiham Vita Propolis Ampoule is an exclusive serum in a small 15ml bottle for special occasions when your skin feels extra dry, dull and hopeless. LJH Vita Propolis Ampoule looks like golden liquid honey. I loved the oil texture of it and the smell is so good. I used 3 drops for my entire face after cleansing and toner. This serum is easily absorbed by the skin without feeling greasy or heavy and make my skin becomes soft with new healthy glow, perfect for tired dull skin which lost its luster. 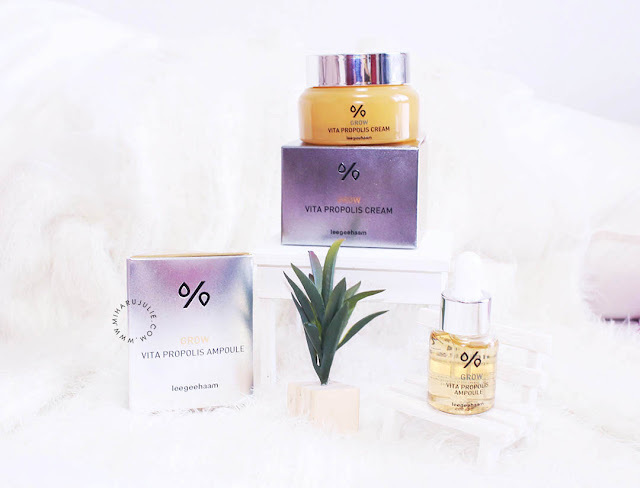 You can also mix 1 drop Lee Jiham Vita propolis ampoule in your usual BB cream for healthy looking skin with a natural glow. A multi-tasking, glow-creating cream with 50% Propolis extract, which is naturally antioxidant and flavonoid rich. Provides an instant "gwang" (dewy glow in Korean) and revitalizes fatigued skin and improves fine lines. For all skin types. 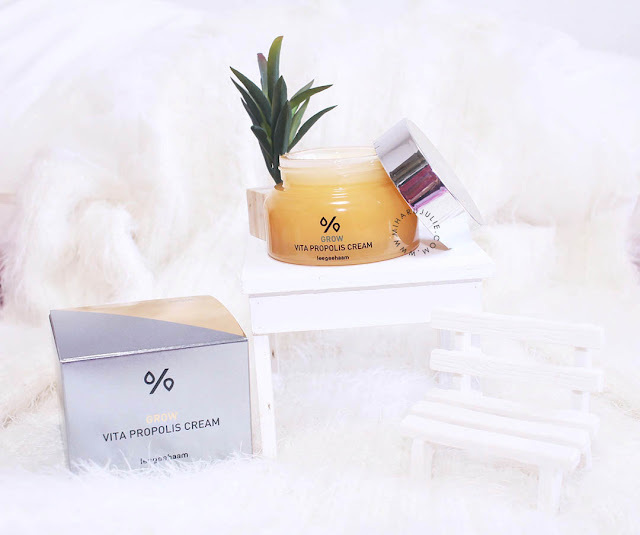 Formulated with Propolis extract and multi-vitamins, this cream hydrates, nourishes and brightens, while neutralizing the effect of skin-damaging free radicals. Use after applying serum. Spread a pea size amount onto skin in an outwards motion. Follow with a moisturizer. 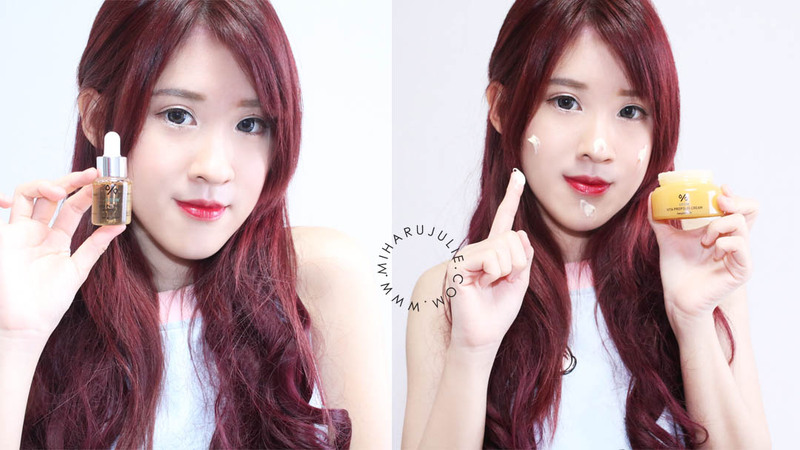 Recommend to always use a sunscreen or BB Cream with SPF during the day time. 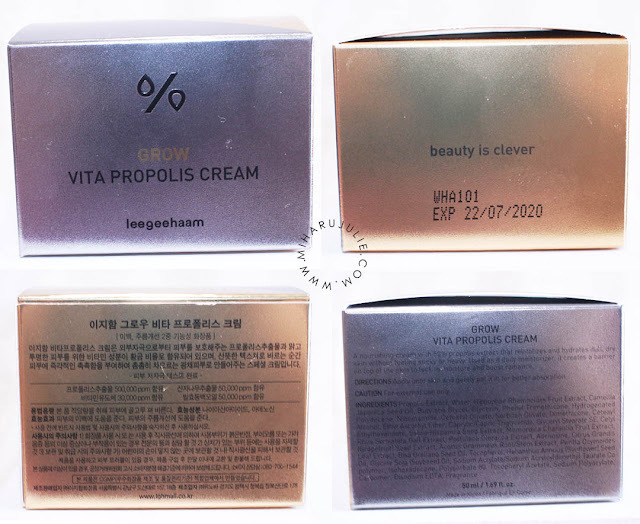 Lee Jiham Vita Propolis Cream has a very mild honey-like scent, barely noticeable at all. The Texture is buttery smooth consistency, that makes it easy to glide on skin and is also soaked up by skin rapidly. I have dry skin, most moisturizers are not hydrating enough for my skin. I use this cream at night and my skin is still hydrated the next morning. I find this cream is super nourishing and moisturizes skin so well. I would recommend this product to anyone especially for normal to dry skin. It is incredibly soothing and calms down the redness in skin. Where to buy Leejiham Vita Propolis Ampoule & Cream ?